Recorded live from the Palau de les Arts "Reina Sofia", Valencia, Spain on October 2006. I tend to get over excited easily (remarks on this trait have come from different directions) so I did give this a few hours for biochemicals to stabilize before making a comment. To start with, I shall mention the negative aspect which is the sound. I would like to hear from our Brazilian friend to know the technical aspects of this but I suspect it is somewhere between the balance and the pick up from the singers. Pick up issues might be something to do with the difference of microphones in close proximity or mics in local direction but there is some failure. It might be that the sound engineer is a cat and there was a piece of cheese or a mouse in the studio at the time. Or the engineer was drunk. Either way, the orchestra sound is good and this accentuates Mehta's deliverence of Beethoven's score. The singing is a bit lost in places, notably Seiffarts's Florestan sounds a bit thin. Salminen is a glorious Cognac from Champagne, Meier a rich Caba Sauvi from Chile and Raimondi a wonderful organic, gluten free veggie smoothie. Trost and Uusitalo are fine works too. I raise my bat and remove my cap to the costume and staging. The picture is intelligent, coherent and obvious. This is created by wonderful textures and colours that are reflective of the human story that here seem far more closer to a contemporary story than a work of the classical period. The set is dynamic by the use of projections; a direction that is being taken well by many productions recently and something that we can hopefully expect to take stage works forward. Makes me want to get this. Only our wonderful Clayton can incorporate his love and knowledge of cats, drinks (both alcoholic and non-alcoholic), and cricket in his reviews. You should get it. It is an absolutely wonderful production. I have it and now I am thinking I need to watch it again. 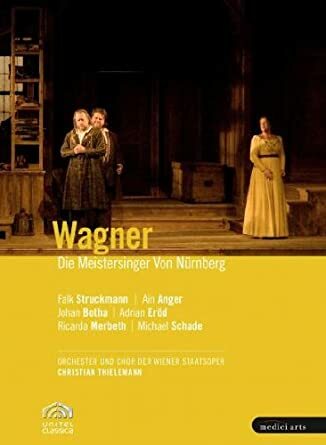 I bought it for Waltraud Meier, welll and I bought it because it was Fidelio, and in going back to jump around it just now, see that it is a fine production through and through. All the characters are great. EDIT: I don't think I have watched an opera in two months. I have been listening alternately to the NAXOS La Sonnambula and a heavy metal band I discovered last month and now own 17 albums (all but one of their total catalog) and two videos of. This Fidelio is just the ticket for now. Maybe start tonight. Hello all my old friends. Thought I'd check in with this. I watched this video last night and enjoyed it very much. First of all it is a gorgeous, beautiful, traditional production similar to the old Met. The sets and colors are a pleasure to look at. The sound and picture quality are first rate. So is the chorus(gorgeous) and the orchestra and conducting. The singing is good, Struckman is a full voiced Sachs and Botha as Walther has a very pretty voice and is very likable. His weight is a drawback though. Eva is soso. A little matronly sounding and not a very flexible voice. Sometimes the orchestra seems to overwhelm the voices a bit. All in all, a beautiful production with outstanding chorus and orchestra. And good singing for modern times. Recommended along with the Glyndebourne Jurowski. The best singing is on the Levine and Stein productions, but the picture and sound are now dated and not full screen. Yes, yes. 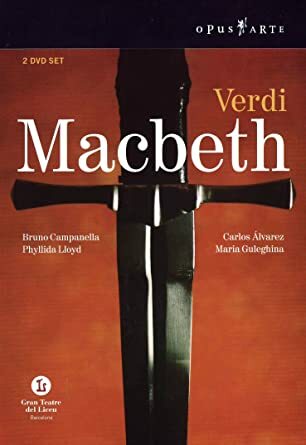 This is Macbeth! This is a good pairing of Keenlyside and Monastyrska with dynamics. Their performances are exciting, powerful and thoroughly convincing. 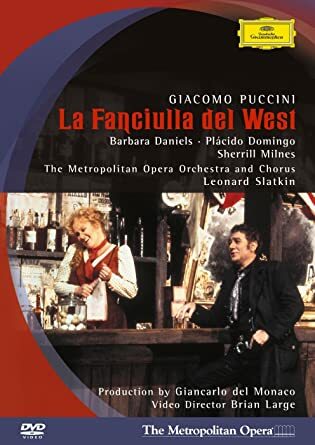 Their singing and acting alone makes this a good production though the chorus and Aceto are also good. It was better in the house than on the DVD. Did you realise that Simon had his left arm heavily strapped? He'd had an operation on a tendon and was still having to wear a brace so they adapted his costume. One of the few times where two DVDs have been produced for exactly the same production. I remember that there is more than one DVD of the ROH's Carmen, as well. One with JK an ACA, and the other one with two less known singers, but on 3-D. I liked both. I couldn't figure out what that was! I wondered if it had something to do with recording devices that the sound engineers and the costume department clashed on or if it was part of the story telling that I didn't understand. Instead it was Keenlyside (I'm not familiar enough yet to call him address him as Simon) soldiering on. Maybe the pain was not just acting and some parts were genuine; either way it was convincing. 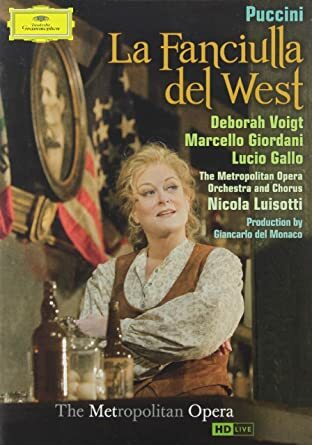 I think there are also two videos of the Met production of La Fanciulla del West -- the first with Barbara Daniels as Minnie, and the later one with Deborah Voigt in the role. I'm not sure if he was actually in pain, but it was awkward for him. At the Stage Door after the performance. 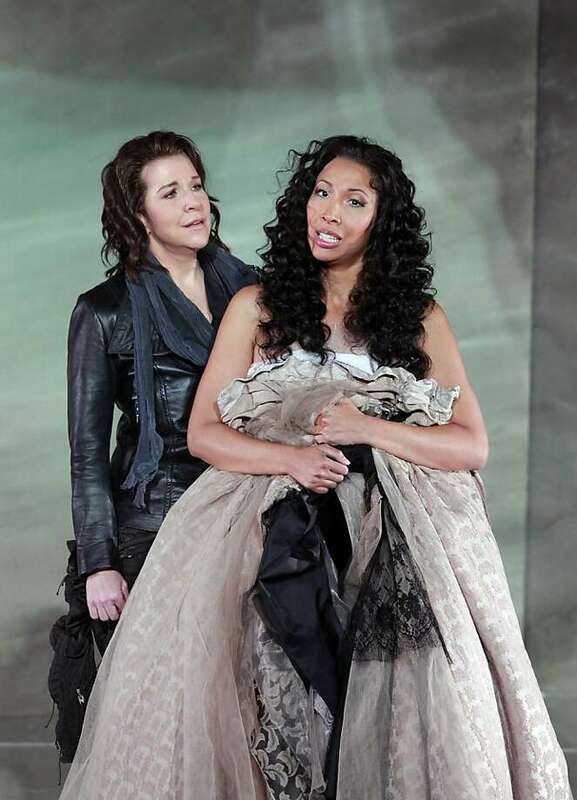 Sir David McVicar's production of Adriana Lecouvreur as originally seen at the ROH, with Sir Mark Elder conducting. Haven't watched an opera in a couple months, so started this last night. Am about 32 minutes in at beginning of Scene 2: Giulietta's Room. I just looked at the review to the point I have watched, which is through Act 1, Scene 2. So far pretty good. The staging is a bit strange, especially with the saddles hanging overhead, presumably to represent that they are actually on horses or something. All the singers are wonderful. 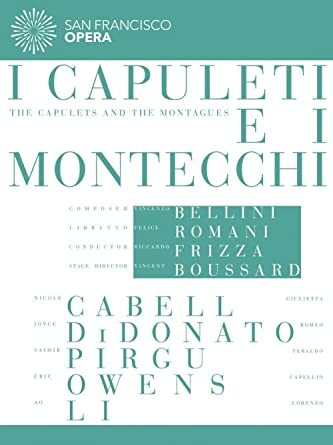 I like it but not sure I like it more than my first Capuleti DVD (Bellini - I Capuleti e I Montecchi / Valentina Farcas, Paola Gardina, Roberto Tagliavini, Giacomo Patti, Gabriele Spina, Ravenna Opera) with it's traditional staging, but would not want to pick one over the other. Both are great and now I will need another one.